Re-opened after a full rejuvenation and re-defined with a stellar cast of 12 new signature craft cocktails conceptualized by Orchard Hotel Singapore’s dedicated mixology team, the all-new Orchard Hotel Bar Intermezzo is an enticing contemporary hotel lobby bar enlivened with an interior design that reflects the lush and vibrant tropical, botanical and agricultural provenance of historical Orchard Road. 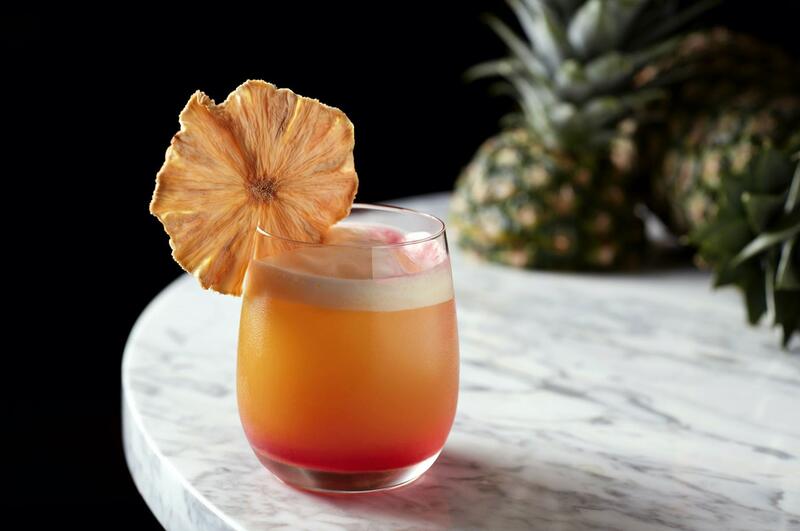 “Bar Intermezzo has long been renowned as a gathering place where guests are welcomed with great hospitality, and where a classic selection of cocktails, beers and drinks paired with sumptuous bar bites appeals to Orchard Hotel Singapore’s diverse guest profile. This revamp continues Bar Intermezzo dedication to these long-held values whilst elevating the bar’s visual identity with upscale, refreshed interiors and a sharply- focused cocktail menu curated with house-made ingredients and craft products that elaborate the many plantations in existence in heritage Singapore,” shares Mr Byron Chong, General Manager of Orchard Hotel Singapore. 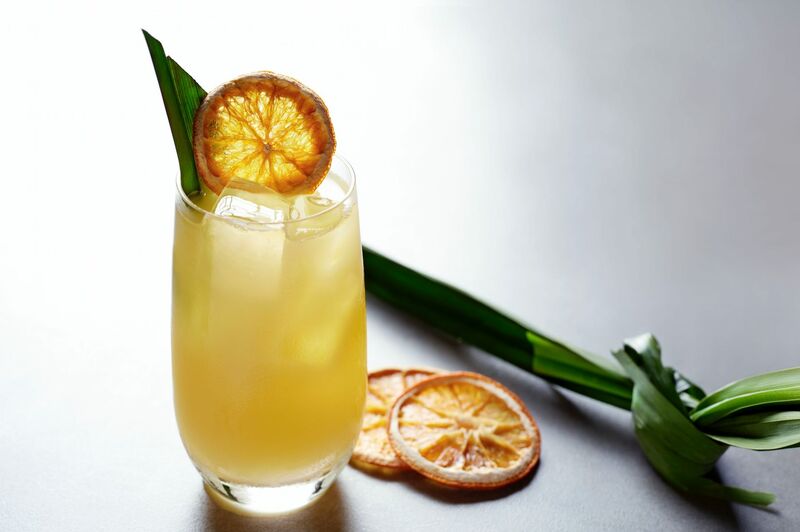 Visually stunning, Bar Intermezzo’s extensive refurbishment showcases a bold, centralized island bar decked in brilliant golden hues accented with jade-green highlights, emanating the ambience of a lush tropical oasis that is distinctly Asian in its style. This bar design feature, with hints of exoticism and nature in its finer touches, anchors Bar Intermezzo while also creating an orbit of bustle and liveliness in the space – a central hub of animation and activity destined to attract and capture your attention. 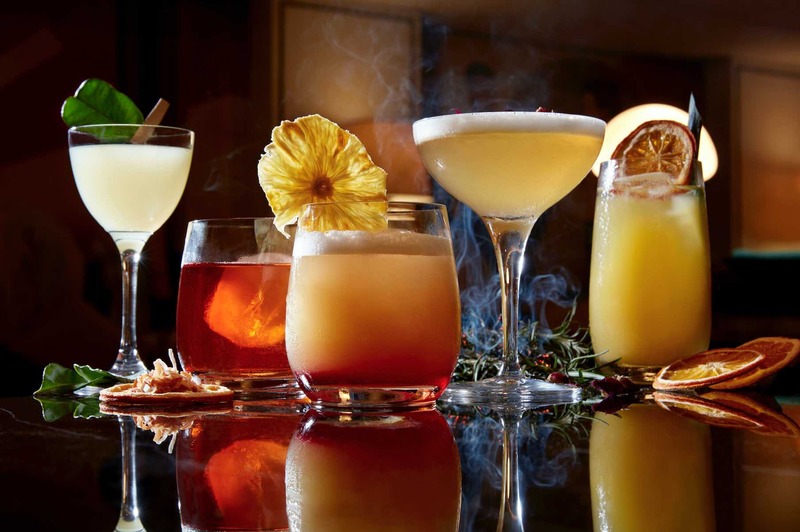 In discovering Bar Intermezzo’s enticing new signature tipples, you will be intrigued by each drink’s distinct personality. 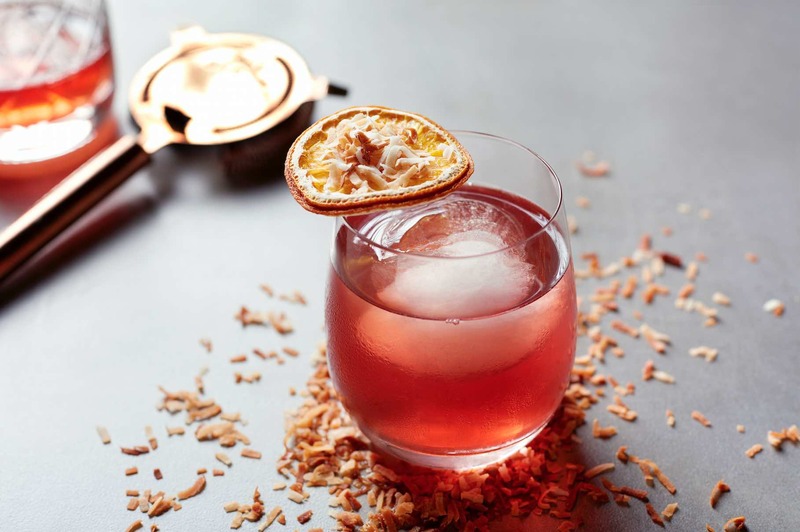 There’s Coconut ($24) – a sensational, full- flavoured cocktail tailored for those who appreciate the classic style of a spirit-forward old-fashioned, where the richness of honey and coconut, and a touch of aromatic bitters, meld with a heady base of coconut fat washed Plantation Original Dark Rum and Pierre Ferrand 1840 Cognac. For gin drinkers, the bar serves up Pepper ($24) featuring the botanical-based Californian gin St. George Botanivore layered with Green Chartreuse, a herbaceous liqueur, pink peppercorn syrup fresh capsicum, cucumber and a citrus hit of lemon – an intricately built cocktail designed to enhance the jubilant character of gin, teasing the palate of sophisticated cocktail purists. 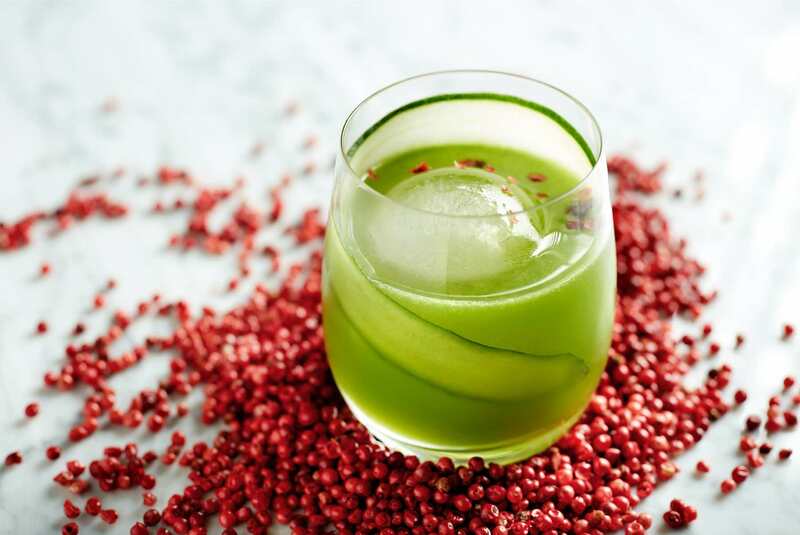 Ford’s Gin, cold-infused with cloves for 24hours, is matched with Benedictine and Absinthe Liqueurs to make for a dense, spice-driven cocktail called Clove ($22), tapered with lovely citrus notes from freshly-squeezed lemon and grapes adding to a splash of Matcha green tea. Among the bar’s tantalizing, tangy-sour creations are a couple of shaken-sour cocktails combining bitters and citrus flavours yet offering completely opposite flavour profiles – Cacao ($25), made with Fords Gin, Amaro, fresh lemon juice and chocolate bitters is a delicious tipple for those who enjoy a balance between bitter and sweet, while Pineapple ($22) is a fruit-forward, mouthwatering punch-style combination of Plantation Pineapple rum, five spice syrup, fresh pineapples and lime juices. and a Champagne-based sweet treat Seasonal ($25) combining Plantation 3-star White Rum, Rhubarb Jam and a twist of tangy lime juice. 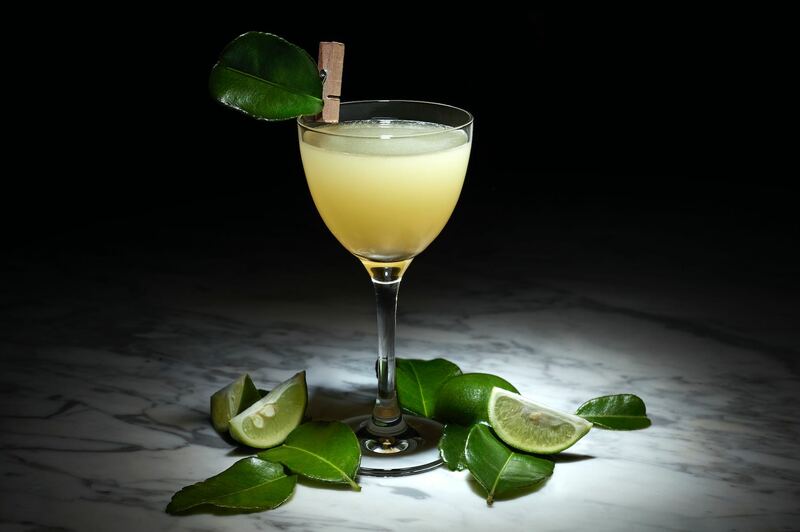 You can also imbibe in an extensive list of spirits and liqueurs, and a curated selection of local craft beers on tap, alongside an approachable wine list featuring tasteful vintages from around the world. 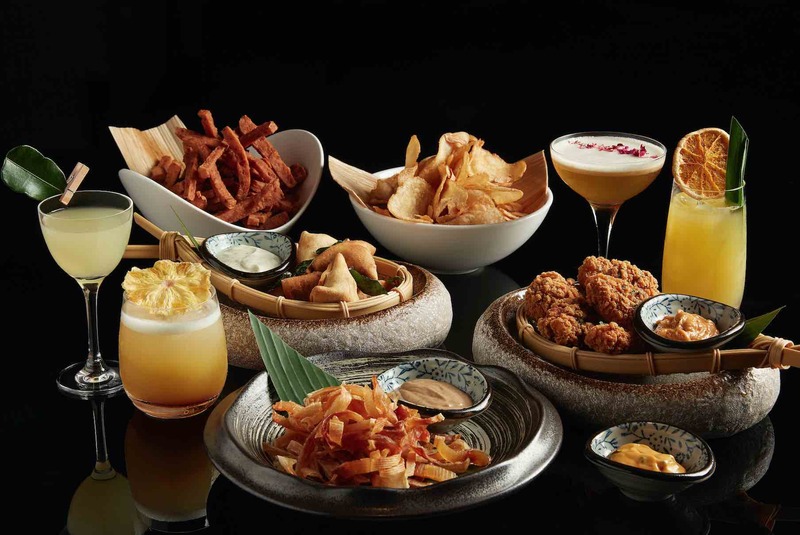 To complement Bar Intermezzo’s drinks selection, Executive Chef Bryce Li has curated a Bar Snacks menu inspired by Singapore’s multi-cultural culinary heritage – staying true to the bar’s central theme of celebrating the best of the Orchard district’s unique influences. Highlights include irresistible Chicken Drumlets with Mala Dip ($12), and Satay ($16) – delicious morsels of marinated chicken, beef or mutton, char-grilled over an open flame and served with house-made spicy peanut sauce, traditional Malay rice cake, sliced cucumber and red onion. Deep-fried Samosas with Mint Yoghurt ($16), a quintessential Indian snack, and Grilled Stingray Fins with Black Pepper Sauce ($18) also make for excellent spice-filled pairings when savoured together with Bar Intermezzo’s crafted cocktails. Adding to the vibrancy of the bar’s newly-rejuvenated ambience, Bar Intermezzo also boasts a resident Live Band playing from Tuesdays to Sundays. 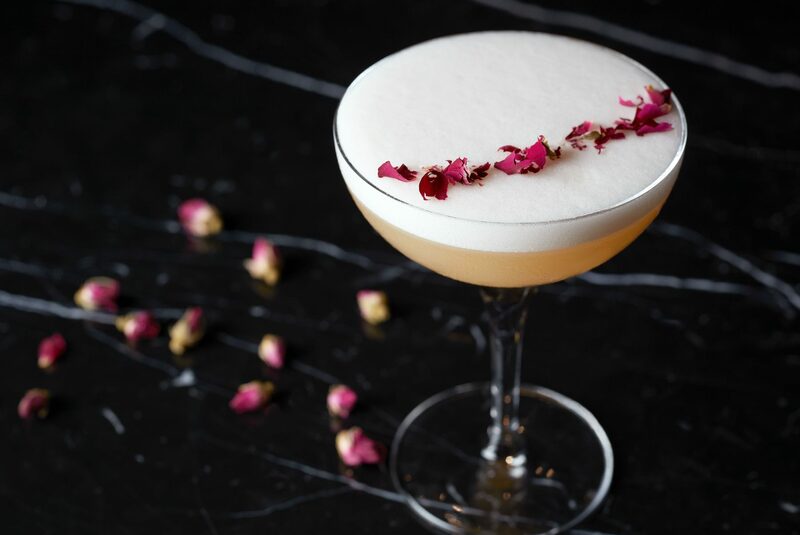 Beginning at 7pm, the band helmed by veterans of Singapore’s live music scene including Sebastian Ho and Bobby Singh, will play three-musical sets each evening – perfect for winding down the night with a sundowner cocktail in hand. Accomplished local vocalist Genevieve Seah, well-known for her renditions of contemporary hits, is among the band’s rotation of featured singers along with songstresses Phoebee Ong, Skye Sirena and Trisno Ishak. 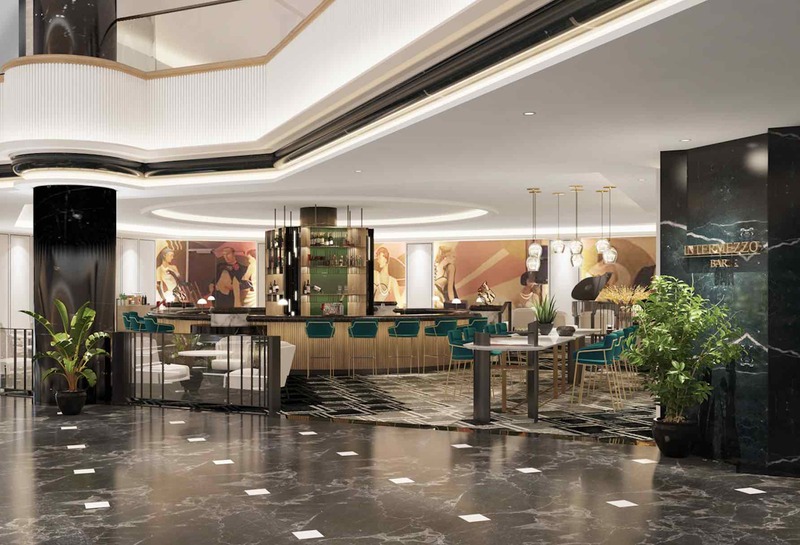 Bar Intermezzo’s anticipated refurbishment is a key feature of Orchard Hotel Singapore’s extensive enhancement initiative encompassing a brand new look and feel throughout the hotel’s prestigious room offerings, the Lobby, The Orchard Cafe and Bar Intermezzo.